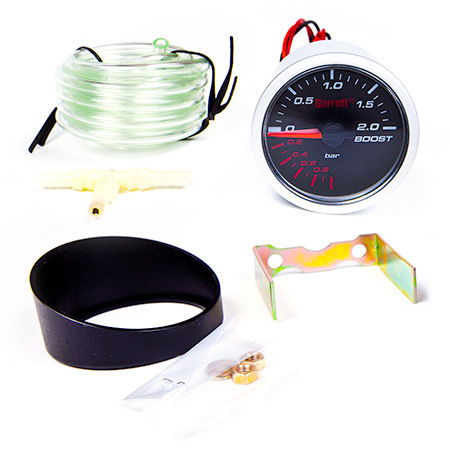 Garrett mechanical boost gauge kit. Measures vacuum and boost pressure (in BAR); operating range from -1 BAR to 2 BAR. Gauge size 52mm or 2 1/16 inches. Includes vacuum line, hardware, mounting brace, and installation instructions.